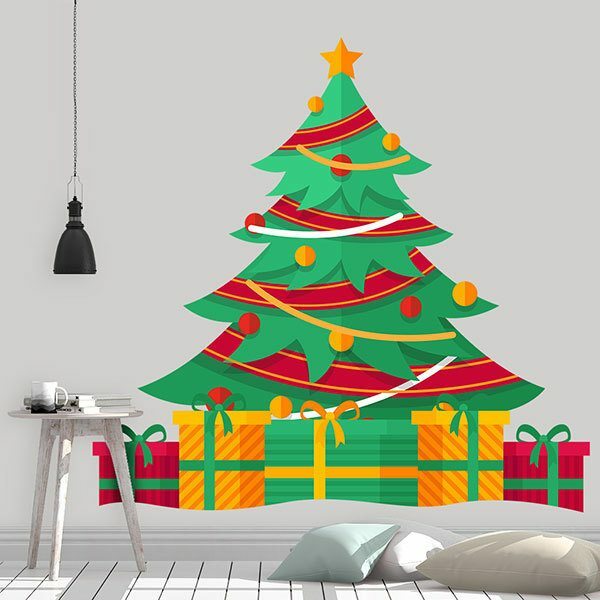 Kids wall sticker Tree with Christmas gifts. 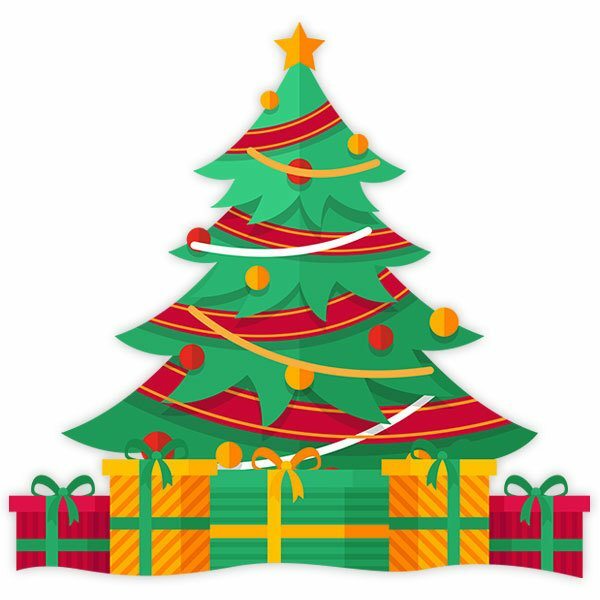 Nice Christmas tree loaded with balls, ribbons, gifts and a star. Before Christmas lights were invented, now so traditional and indispensable in many homes, Christmas firs were decorated with candles and apples. Size: 20 x 11 cm. 12.20 x 11.81 in. 16.14 x 15.75 in. 20.47 x 19.69 in. 24.41 x 23.62 in. 28.74 x 27.56 in. 32.68 x 31.50 in. 37.01 x 35.43 in. 40.94 x 39.37 in. 44.49 x 47.24 in. 51.18 x 48.82 in. 53.54 x 51.18 in.